Ireland Walk Bike Hike is committed to the environmental and long term health of the destination it operations within. Because of this we have partnered with International NGO, Sustainable Travel International, to calculate and offset the emissions generated from all of the trips we offer each year. In working with Sustainable Travel International we can also provide you, our guests, the opportunity to offset the carbon footprint generated from from your travel to and from Ireland. 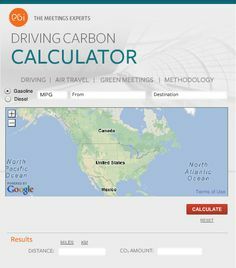 To offset these emissions please click on the Carbon Calculator below, follow the instructions, and select your preferred project to support. Thank you for joining us in this effort and demonstrating how tourism can positively impact lives. Guided Walk Holidays use our own new minibus (VW 2.01 TDI using Blue Motion 114BHP) where possible or we hire in transport ensuring minimum journeys. Guided WALK holidays follow circular routes where possible, reducing transport requirements. WALK holidays stay a minimum of 2 nights in all locations, many stay 3 nights, to ensure reduced carbon emissions. WALK holidays provide evening meals for our clients each night. The restaurants/pubs that we use are all within walking distance of the accommodations, so reducing transport needs. We also use restaurants that actively support local & organic produce. HIKE & BIKE independent holidays walk or cycle from accommodation to accommodation. HIKE & BIKE holiday clients stay 1-2 nights in each location and we are gradually adapting our itinerary’s to offer longer stays in each house. In considering our own carbon footprint with our self guiding HIKE and BIKE holidays we pool luggage transport from village to village where possible. We encourage all our clients to use public transport to reach the “Start” location of your chosen holiday and can happily book transport for you (please enquire at time of booking). We try to adapt our itinerary’s to ensure the shortest transfers are required for each day’s walk while not affecting the variety and quality of your experience. If clients wish to have assisted cycles on their holidays we offer Electric Bikes from our suppliers (please enquire at time of booking). Attractions are selected close to our chosen walking and cycling routes to minimise the need for additional transport. We encourage non-car transport with all staff and 3 have availed of the bike to work scheme. When travelling to meetings etc we use as much public transport as possible. In our continued fascination with and our determination to protect the wonderful bogland that we have so much of throughout Ireland, we have supported the IPCC, Irish Peatlands Conservation Council, and we now offer our guests the opportunity to donate to the IPCC if they wish. Collis Sandes House, Co. Kerry, Ireland. © 2019 IRELAND Walk Hike Bike Ltd - Company Number 515141. PO Box 372, Tralee, Kerry, Ireland.